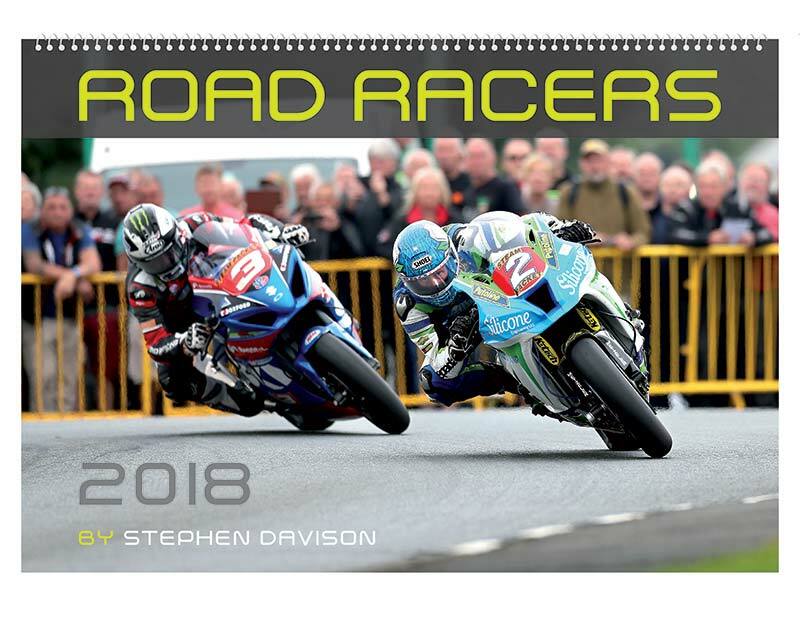 Stephen Davison's iconic and essential Road Racers Calendar returns, once more showcasing the very best photographs from the acknowledged king of road racing snappers. Every year demand for this stunning calendar (in both desktop and wall formats) increases as word spreads of the superb composition of Stephen's shots. 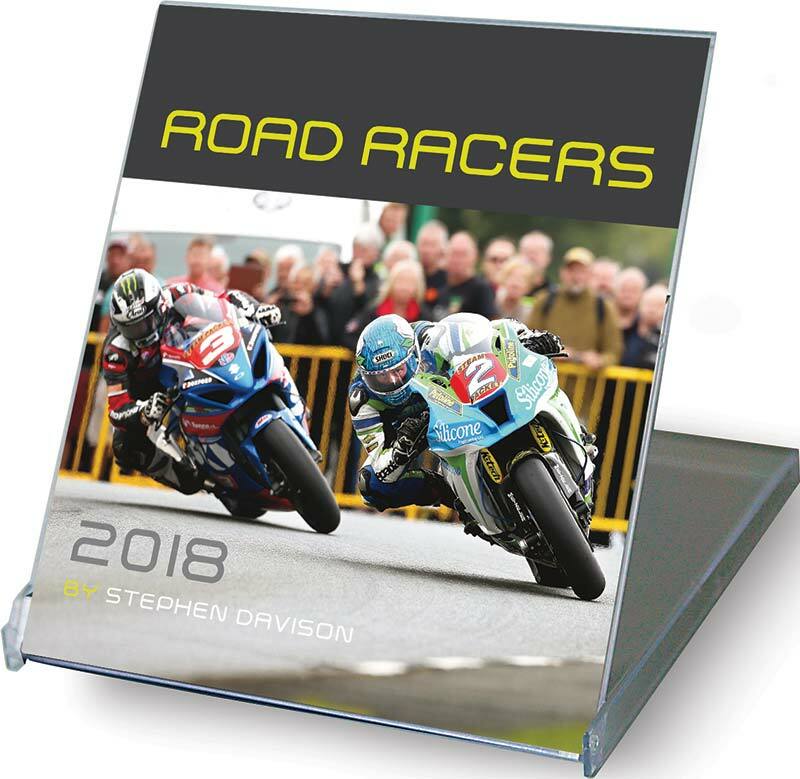 Previous years have seen beautiful and breathtaking images from races including Armoy, Cookstown, Skerries, North West 200, Scarborough, Ulster, Macau and, of course, the Isle of Man TT. In A3 landscape format, and printed on high quality semi-gloss paper, the wall calendar is the most popular of the two, as it really makes the most of the photographs. The Desktop variant allows fans to enjoy the superb quality of the shots (and it generally includes several shots exclusive to the smaller format) when space is at a premium.